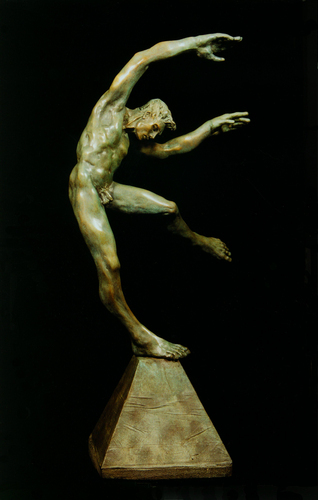 This fountain or interior piece is my third major bronze sculpture. It represents a 1/2-life dancer balancing on a truncated pyramid. This piece is in a private collection in Minneapolis.